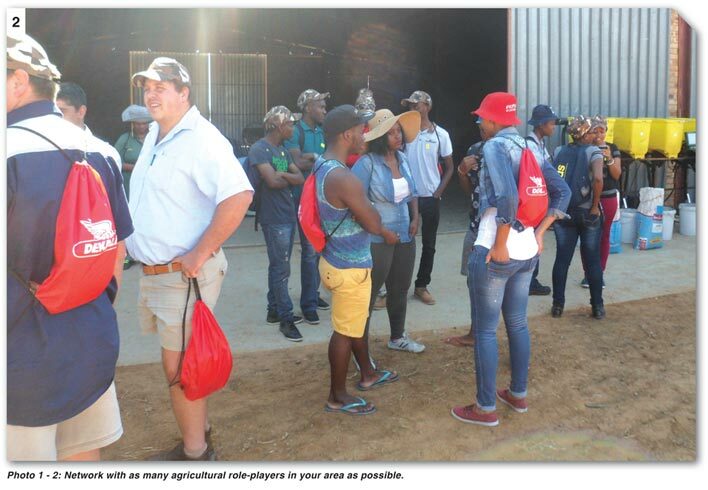 Networking in the agricultural industry is about making connections and building enduring and mutually beneficial relationships with fellow farmers, input suppliers, agribusinesses and other industry role-players. Always remember that networking is about being genuine, being authentic and about building trust. In most agricultural areas we usually find ourselves in one of two positions – we are either overwhelmed with new products or special offers and sales pitches creating mixed messages, leaving farmers confused regarding what the right advice, product or practices are, or, we find ourselves in a remote rural area with no input suppliers or reps coming to our farms and feeling cut off from the industry. It is important to remember that in both these situations, networking remains critical. 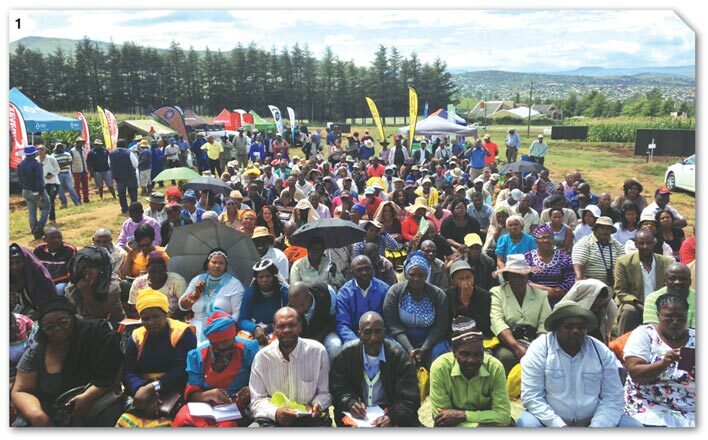 It is each farmers’ own responsibility to go out and gather as much information as possible, and then to carefully sift through and decide what the best practice is for their particular situation. Neighbours: It is imperative that you get to know your neighbours and have an open but professional relationship with them as you must be able to rely on each other. Remember that you are in the same boat in terms of droughts, floods, hail, fire, theft, pests and disease etc. and would be able to assist each other if the need arises. They are also an excellent source of information. Agribusiness staff (agricultural advisor, economist, credit manager). Input suppliers (seed, chemical, fertiliser etc. reps). Workshop staff and management where mechanical repairs are done. Commodity organisations (grain, sheep, livestock, poultry etc. depending on what you produce). Staff at your local Department of Agriculture and DRDLR. It is important to mention that as you start talking to neighbours and other farmers in your area, you will start to get an idea of who they make use of, which other input suppliers and role-players operate in your area and who are reliable. It would also be good to mention who referred you once you make contact with them. Focus on building long-term relationships based on trust and on walking the road together, not only an immediate transaction. It takes time and consistent effort to win someone’s trust and support. Be able to articulate what you are looking for and how others may help you. Too often people in conversations ask, ‘How may I help you?’ and no immediate answer comes to mind. Follow through quickly and efficiently on referrals you are given. When people give you referrals, your actions are a reflection on them. Respect and honour that and your referrals will grow. Networking does not occur only at farmers’ days or agricultural events, but buying something at the co-op, buying diesel, at the store, at school, at church and every day events. Networking is a never ending, lifelong endeavour. Networking is neither selling nor using people for your gain. Networking is an exchange of information, contacts, referrals and goodwill. Networking leads to new relationships and new opportunities. A positive attitude will result in a positive outcome. Being positive makes people want to associate and co-operate with you. Keep your word – the most disappointing flaw in human nature is the lack of follow through. Reflect on how many times someone promised to do something and didn't live up to their commitment. It’s extremely frustrating and creates a negative image. If you commit to do something, do it! And do it timely! Don't make promises or commitments you cannot deliver. Building a relationship hinges on trust and credibility and keeping your word each and every time will make you truly unique and stand out.